20 x 20 cm custom Filter Pad for use specifically with the Buon Vino Super-Jet Filter. Pads are rated nominally, which means that the rating is an average of all of the sizes of pores in the media. 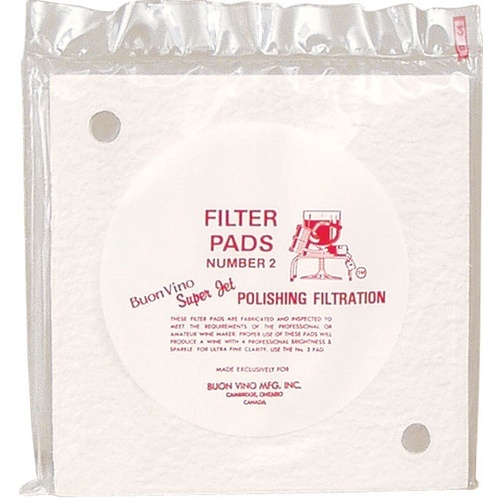 Fine pads are rated to 2 microns nominal, and are appropriate for polish filtration of red and white wines. Typically the finest filtration a red wine will go through.